Early in October I responded to a query from Bernina Sewing Machines. 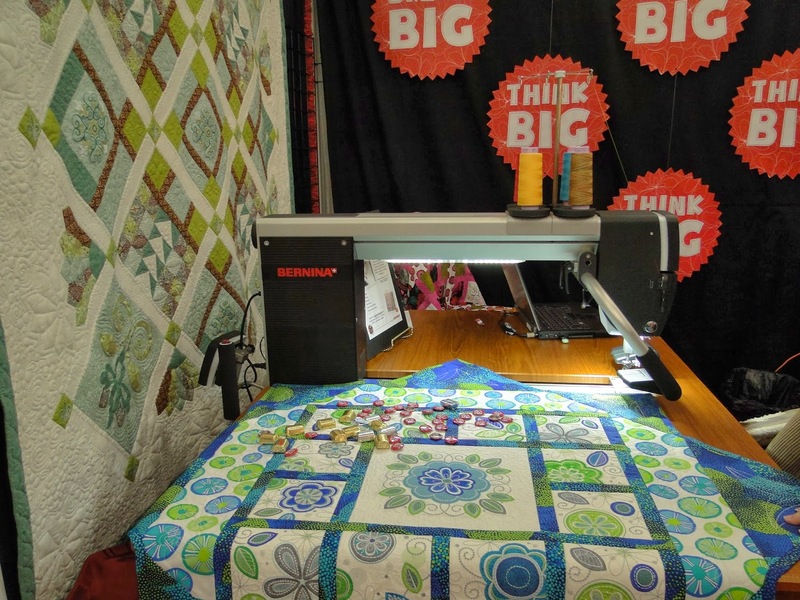 They are developing a Longarm Quilting machine and were looking for testers. I thought – “Well, what do I have to loose” so I sent an email. Long story made short – I was chosen to be one of the testers. I am excited about participating in this project. I saw a sample of the machine this year at Quilt Market. There are a lot of neat features on this machine and I can’t wait to see how they work. And the exciting part about all if this is that I have to travel to Switzerland to participate in the testing program. Who knew that I would have to leave NYC to have an opportunity to do some work in Switzerland! 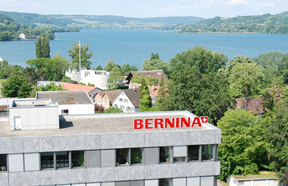 Yes that’s right in a little over a week I will be boarding a plane and heading across the great big ocean to the Bernina headquarters in Steckborn, Switzerland. 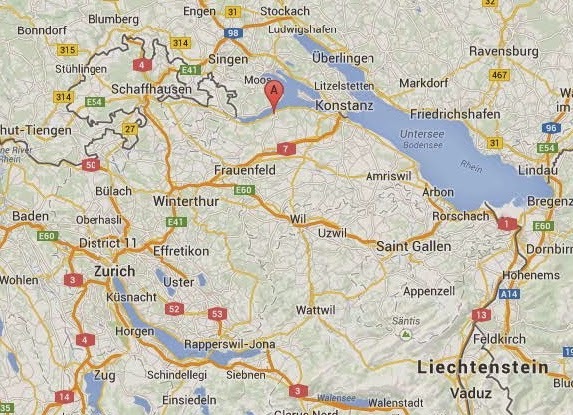 It appears to be a quaint town along the Rhine River and Lake Constance. The pictures that I have been able to find are from summertime – it be a snowy scene when I am there (stay tuned for those pictures). 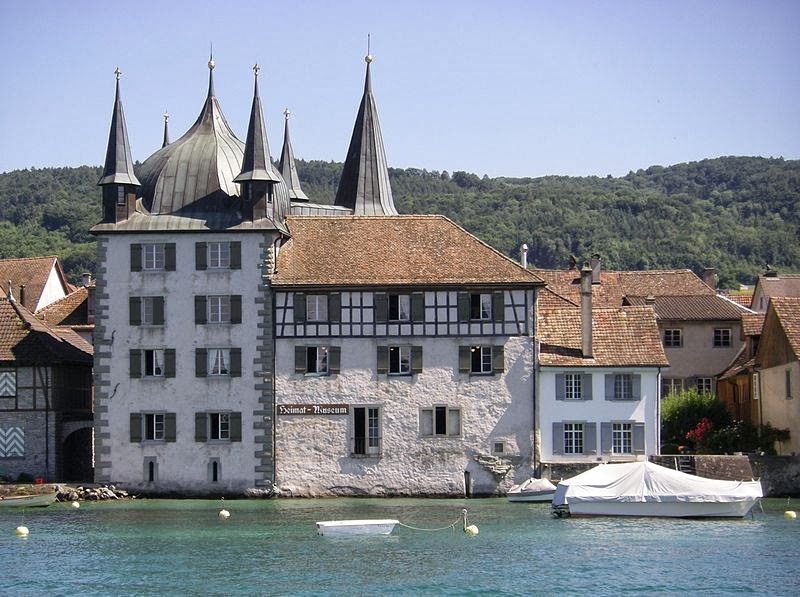 I am also excited to be able to be in Switzerland around the holiday time. 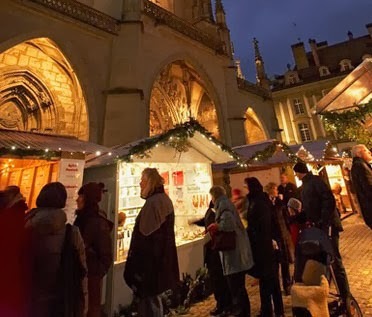 I can’t wait to explore the holiday markets and do some Christmas Shopping. I have learned many times over that having the attitude “What do I have to loose” has opened many doors. What could happen – the other party could say no, or I failed at what I tried, the flip side is that they could say yes, or I learn that I could do something that I didn’t think was possible. I am happy that I said “Why not – what do I have to loose” in this circumstance. Stay tuned for posts about my adventures from Switzerland. While I won’t be able to share with you what we are doing in the testing program I will be able to give you a glimpse at a quilters life on the road and my experiences in Switzerland. So a little contest – I am going to take my own version of Flat Stanley along with me and take shots of him in various locations. But – he needs a Quilty name or even better a Longarm Quilty name. So, leave a comment with a proposed name by November 29th. A panel of secret judges will help me pick a name on November 30th – and watch for the announcement early the next week as my yet to be named flat quilter heads off to Switzerland – and the prize – well, not sure yet but it will be something special I pick up along the way in Switzerland. So, let the naming begin. It has been great fun visiting the other blogs earlier this week and seeing how the other designers approached their quilt designs. (And I enjoyed looking at some of their other blog posts to see what they have been up to – all great stuff – but I digress). 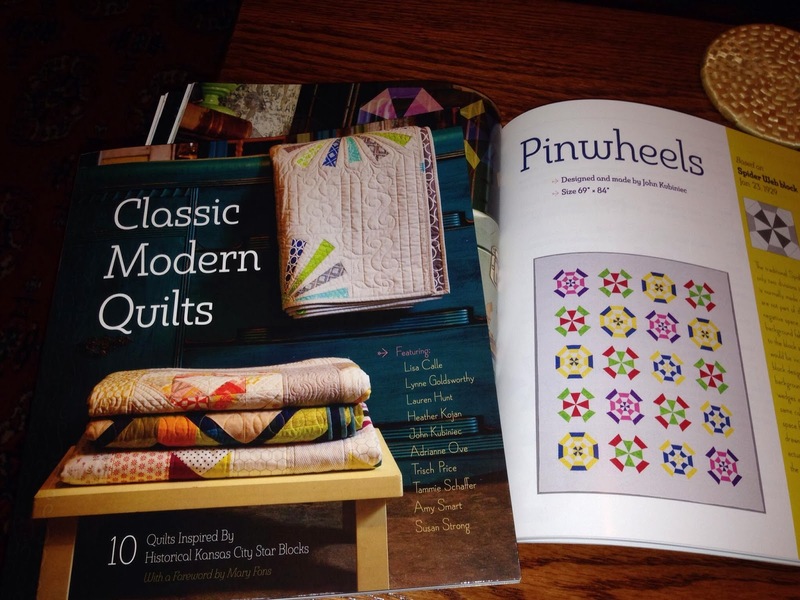 Today I have a chance to share some insights into my quilt Pinwheels. I have to admit that “naming” quilts is not my favorite thing to do. Sometimes a name can pop into my head – other times it is agony trying to come-up with something. 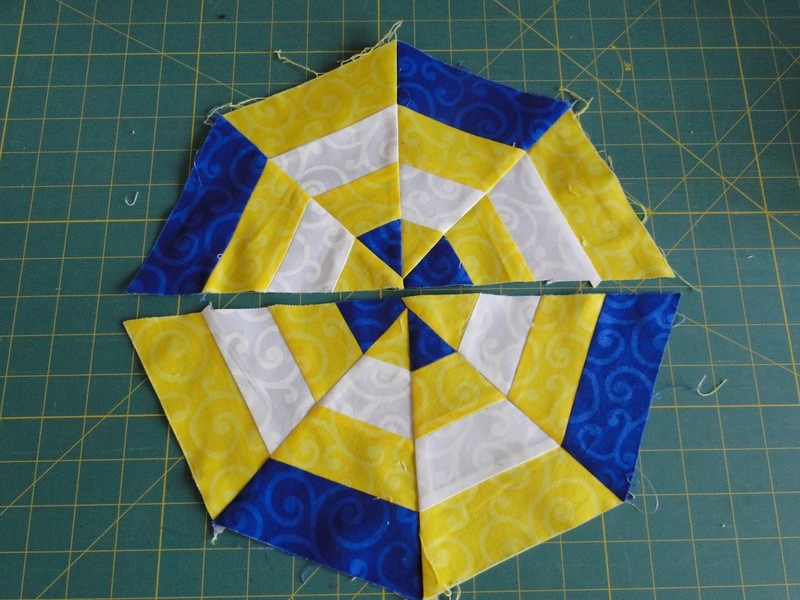 But in this case it was easy- the quilt when it was finished reminded me of those little pinwheel spinning thingies I had as a kid. A little back-story about choosing the blocks. We were sent this grid of blocks from the Kansas City Star Collection – and they sure do have a great collection of blocks. I had wanted to play around with the Kaleidscope and Spider Web blocks for a while, and when I saw the Spider Web block in the list, I snagged it.. I started playing around with different strip sets and figuring out how things might look. Paper and pencil are my first “go-tos” and then I move to Electric Quilt (I have EQ 7) to fine tune the design and play with colors. The fabric: – I had been working with the Spin line of basics from Windham Fabrics. I just love the white tonals they have and also the bright primary colors and contemporary tonal prints – they seemed like a prefect match. Then the next task was – how do I cut out the different components. Do I make plastic templates or I was wondering if there was a speciality ruler out there. 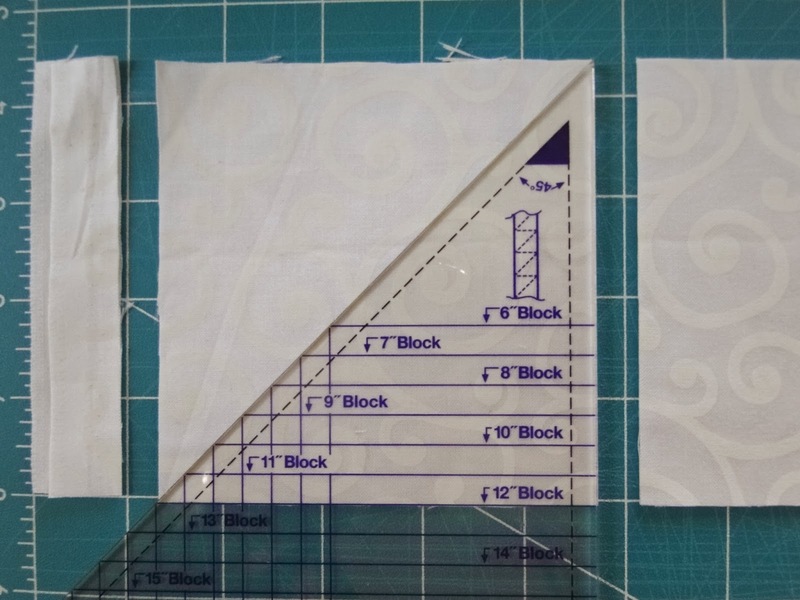 Luckily I found out that Marti Michell had a ruler that would cut out the wedges and cut out the corner triangles (The book gives you a template for the wedge shape and tells you the exact size for the corner triangles). 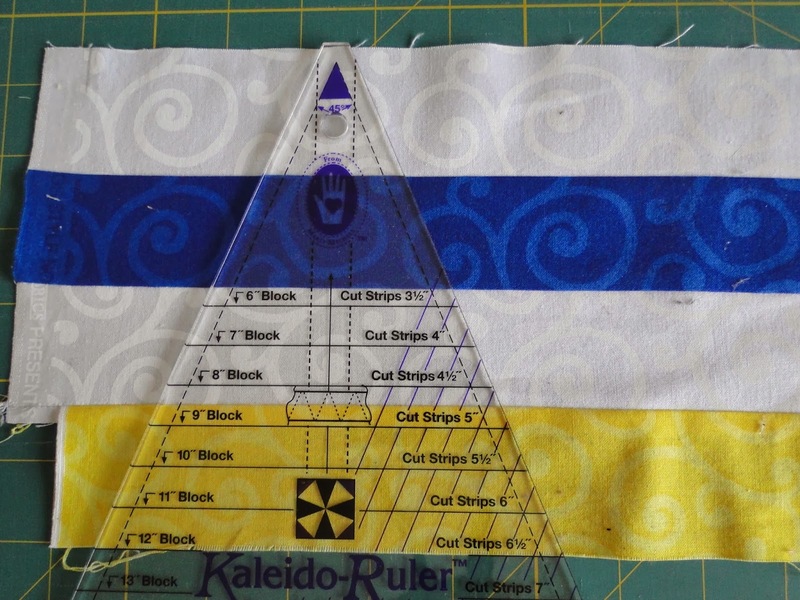 I like working with this ruler – it was so easy to use and it would also allow me (in the future) to play around with different sizes for the block. 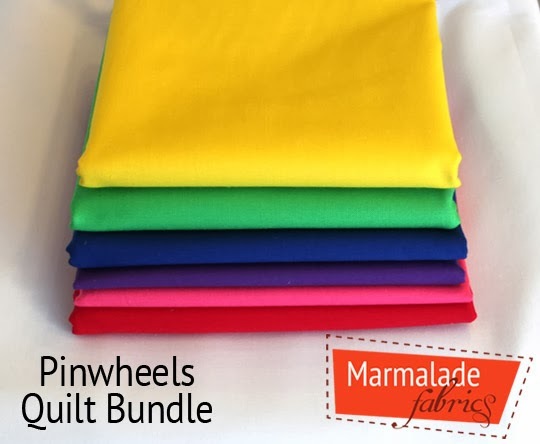 AND for another wonderful prize from Marmalade Fabrics. She is giving away a fabric pack that gives you enough fabric to MAKE THE QUILT!!!! So how do you get a chance to win all of these prizes? First of all, for the book and ruler give away you must leave a comment below, 2 winners will be randomly picked at the end of the tour (1 person wins a book, the second wins a ruler set) And what is that comment???? Since Thanksgiving is around the corner – answer the question that everyone wants to know. 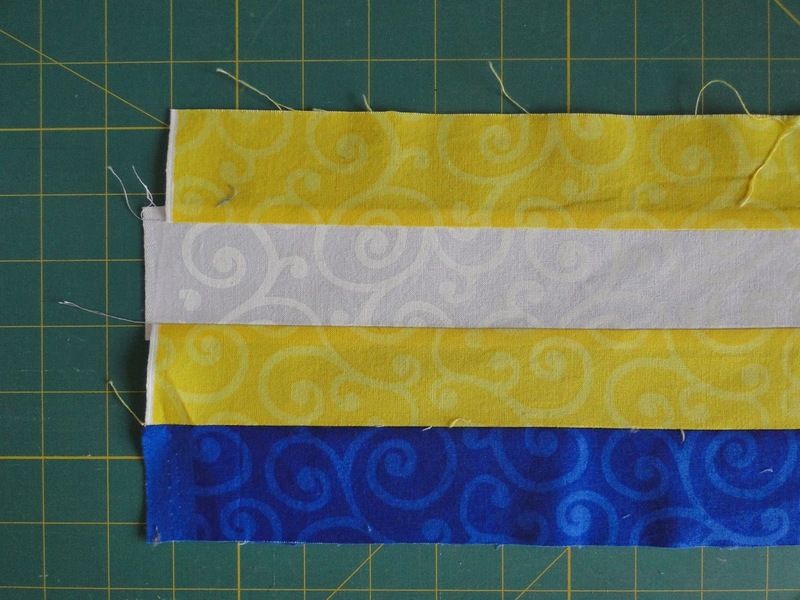 Now for the fabric bundle you have to – visit Tammy Vasser’s blog and leave a comment there. In case you are just jointing the hop – check out the previous posts and look ahead to the other designers. (don’t forget to leave comments on the various blog posts so you can win on their blog! 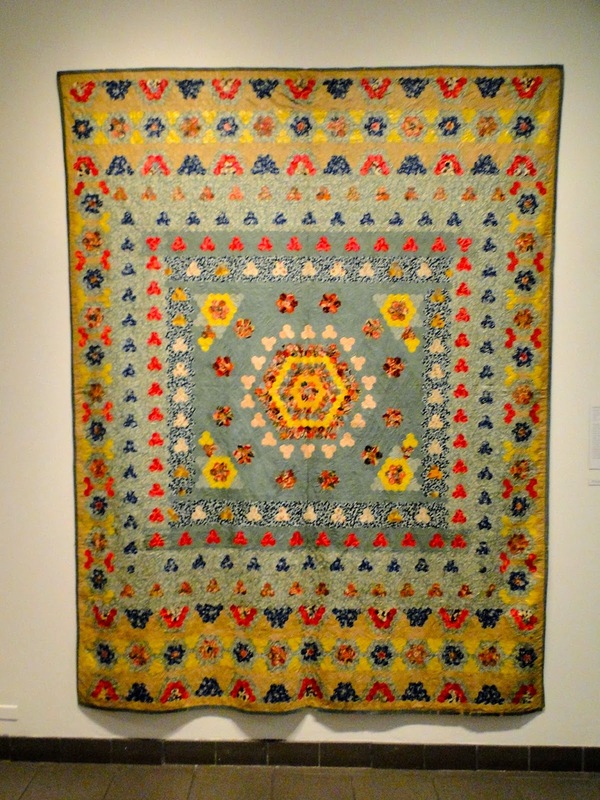 I had the opportunity to attend a talk by Sabrina Gschwandtner last evening at The American Folk Art Museum in NYC. (In moving from NYC this is one place I really miss). 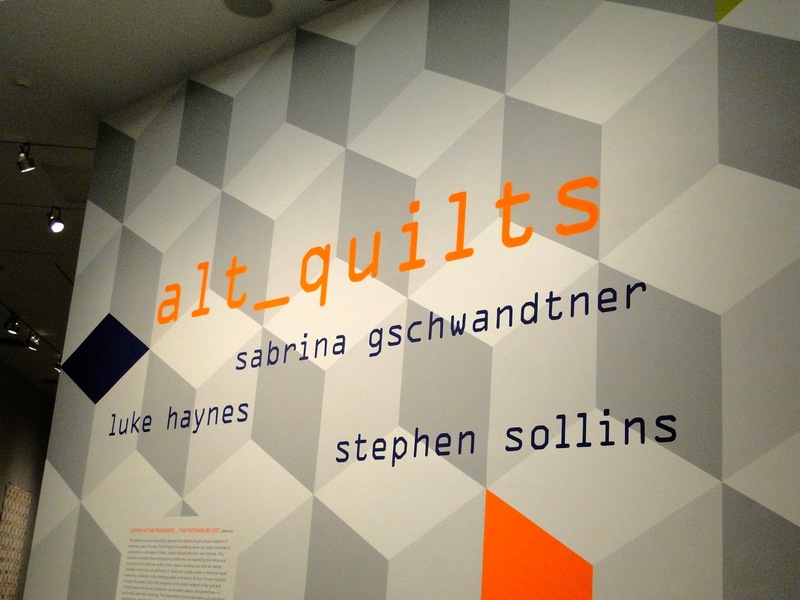 Their current show alt_quilts is a show by three artists who use recycled materials to create artwork inspired by quilts. 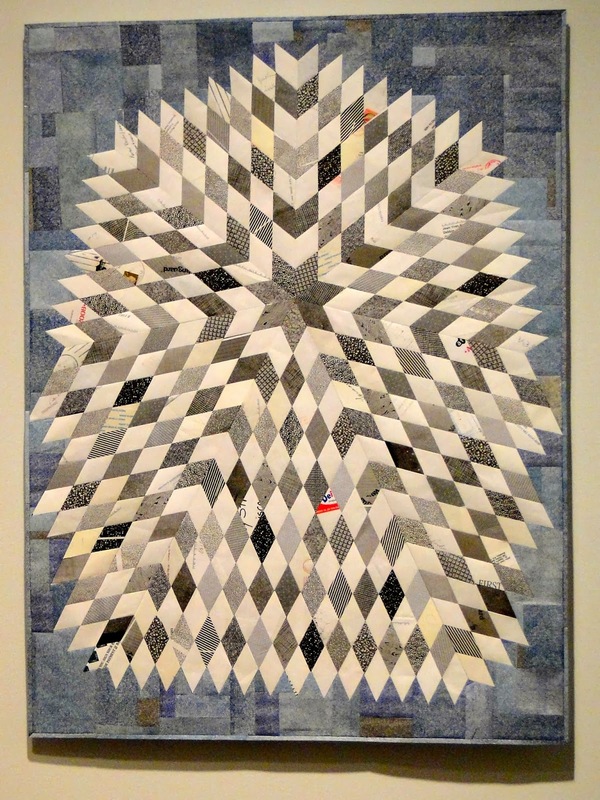 While some of the artworks are not technically quilts (three layers of fabric that are stitched together) – they are quilt inspired. Quilters are always on the prowl for ways to reinterpret traditional quilt patterns, looking for ways to “switch things up”. 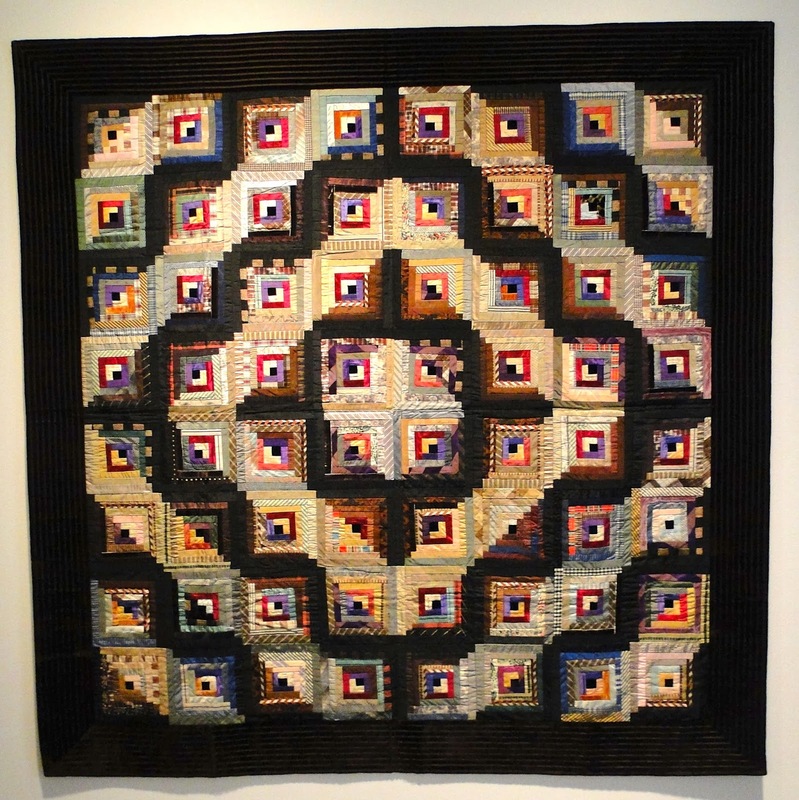 These three artists have taken quilting and quilting patterns as their stepping stone and have truly remade it. 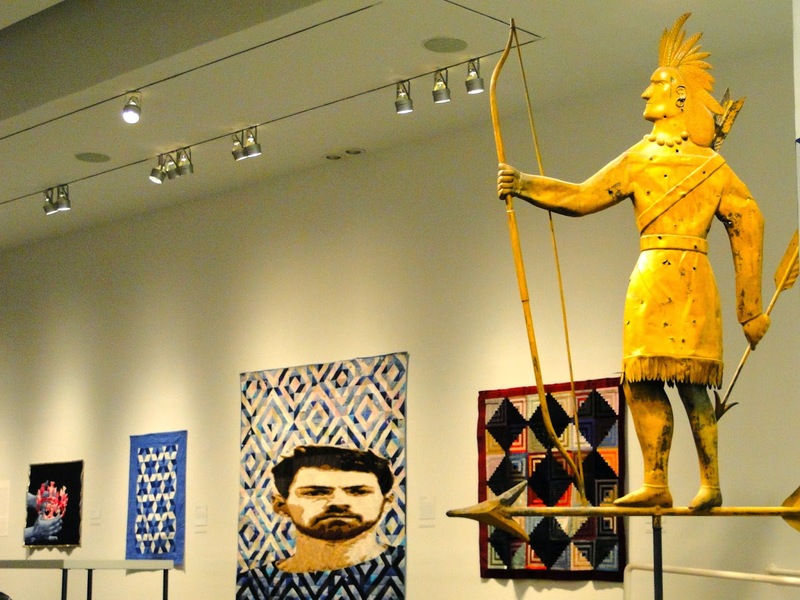 Their work is amazing and Stacy C. Hollander (the curator of the show) did an amazing job in pairing their creations with classic quilts from the museums permanent collection. 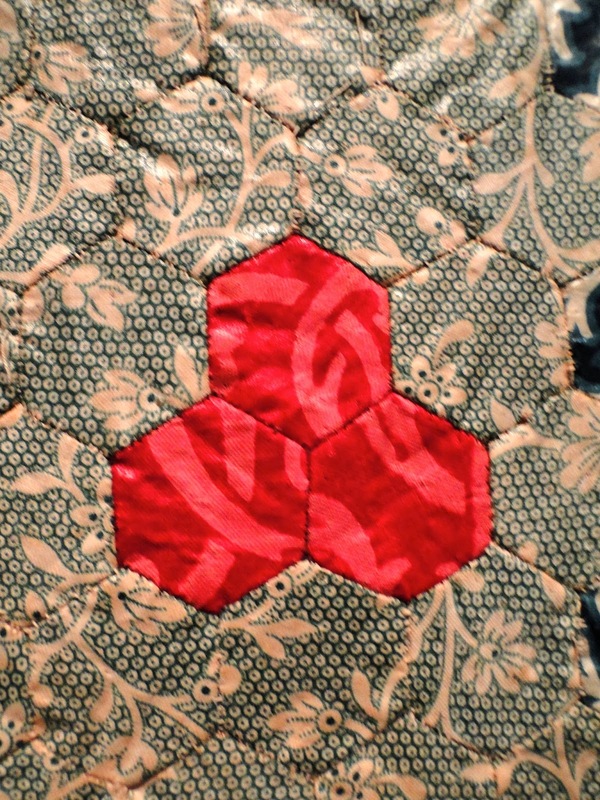 Luke Haynes takes recycled clothing and uses this fabric in his quilt creations. His artwork is technically a quilt. 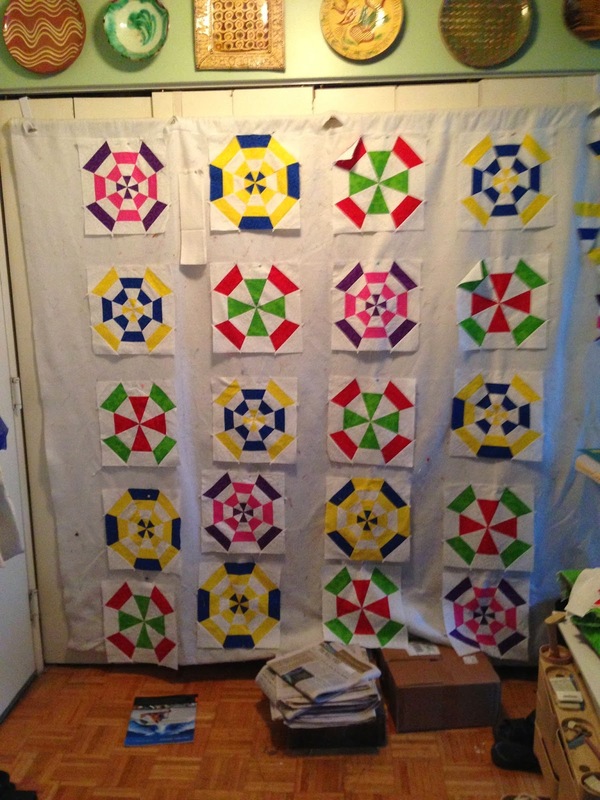 He also plays around with traditional quilt designs as backgrounds for his quilts. 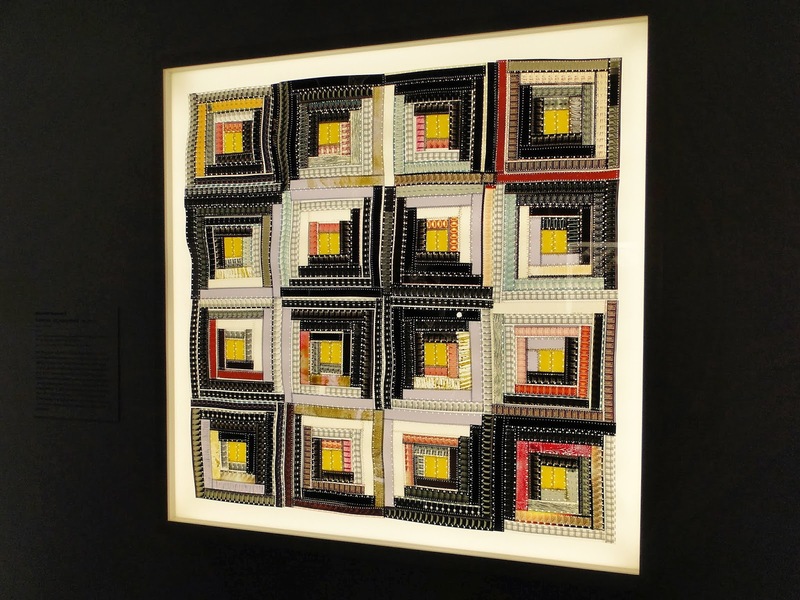 Stephen Sollins takes traditional quilt patterns and uses recycled mail to recreate them. 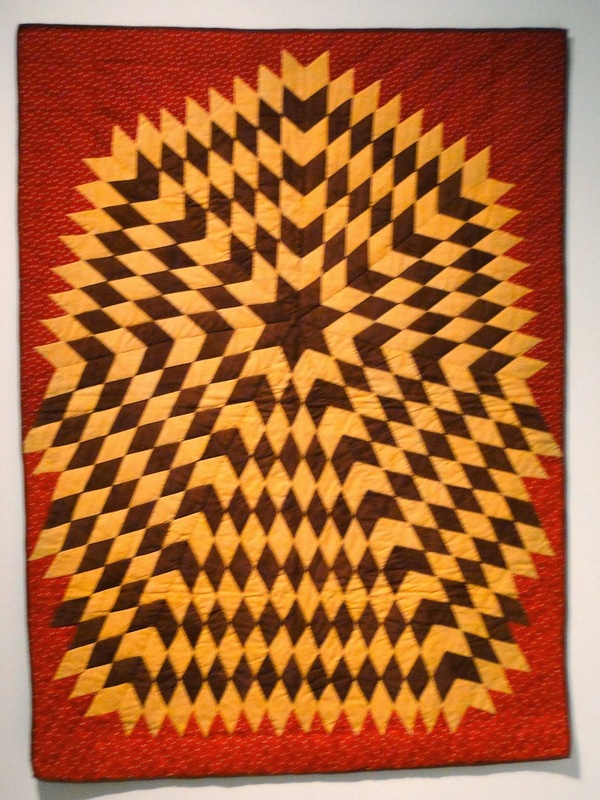 Here he took a quilt from the museum’s collection and recreated it. 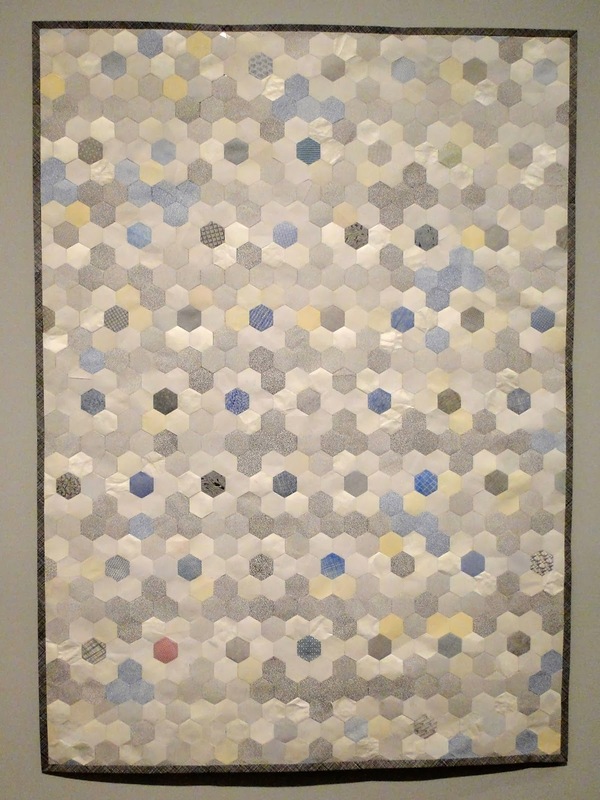 The museum paired his hexagon quilt with a masterful hexagon quilt from their collection. Sabrina Gschwandtner uses old 16mm film in the creation of her artworks. The films all deal with textiles in some way or another. The linear nature of the film translates well into the classic long cabin block. I also love how there is subtle value shifts within the various darks and lights. And again Stacey did a wonderful job with pairing the work with a wonderful log cabin. The show is up through January 5, 2014. If you are in NYC make sure you stop by the see the show. As quilters we can gain inspiration from what these people have done and translate it to our own art. For me what do I take away? 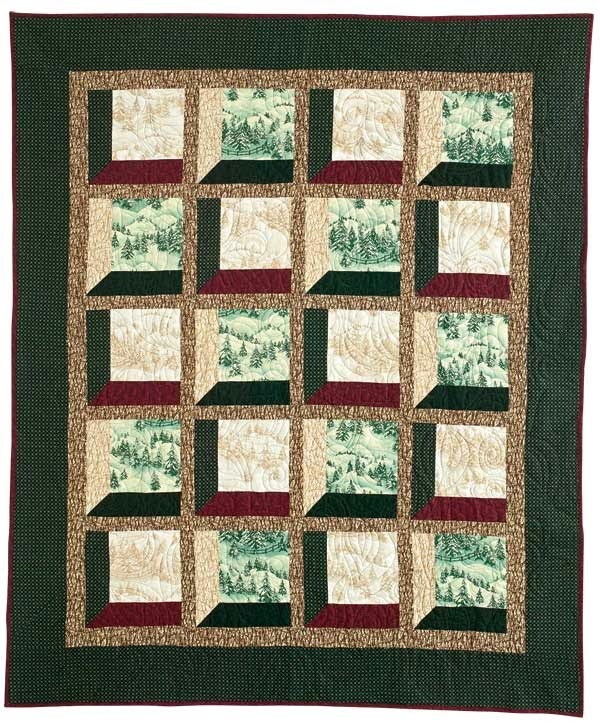 From Luke – maybe I should save some of my old clothes and make a quilt with them or even use the fabric in a quilt with fabric I purchase for quilting. From Stephen – Explore the use of fabrics that are very close in value to create subtle contrast but still let the pattern be seen. From Sabrina – explore sharp contacts in values (light/dark) but within those values play around with values close together to add variety and interest. So are you starting to get ideas? 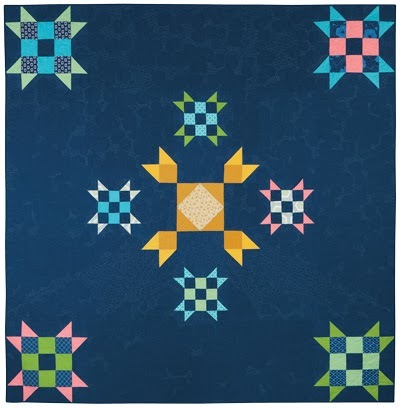 Want a few more – hop on the blog hop for Classic Modern Quilts and see how ten designers took traditional quilt blocks and gave the blocks their own twist. And – enter the blog hop contest and possibly get a free copy of the book. 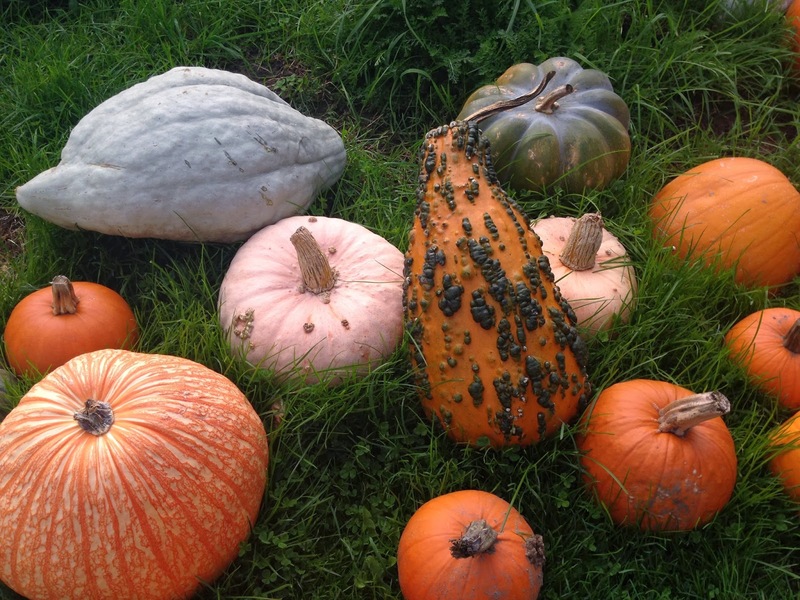 Visit Heather Kojan’s blog today (my entry will be tomorrow!) and make sure you visit the other posts from earlier this week. Yes, it’s that time of year (at least here in the northeast) when the weather turns a little cooler and you find yourself needing to snuggle up under a quilt with good book and something warm to drink all in an effort to stay warm. Here is a quick and easy quilt to make for yourself or it would be a great holiday present – yes – it is easy AND quick enough to get done in time for the holidays (well maybe not for Hanukkah this year – it sure is coming early)! 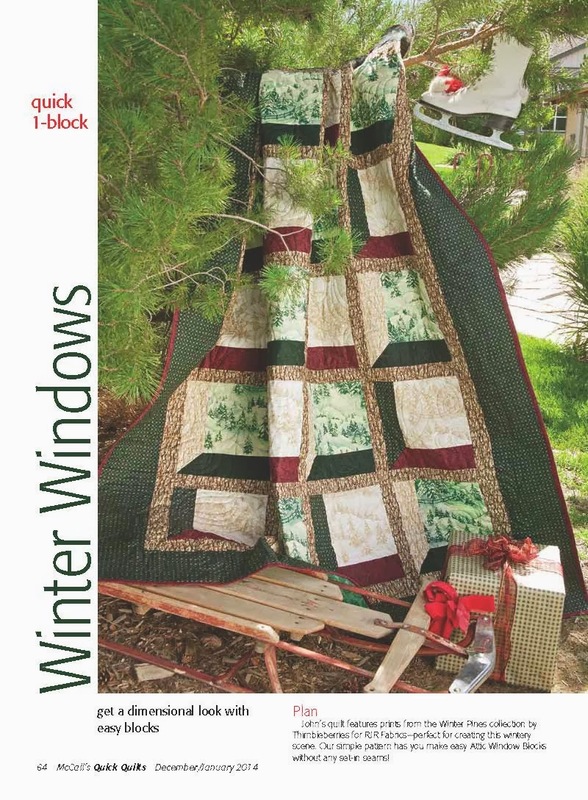 The quilt is entitled Winter Windows and features the Winter Pines Collection by Thimbleberries for RJR Fabrics. These fabrics lended themselves so well to this pattern. But if you are looking for a little different look find some focus fabrics that would look good as being featured in the windows – then choose complementary fabrics (tonals) in the proper value ranges to serve as the window frames. 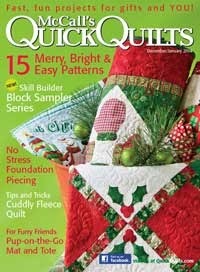 The pattern is featured in the current issue (December/January 2014) of McCall’s Quick Quilts. 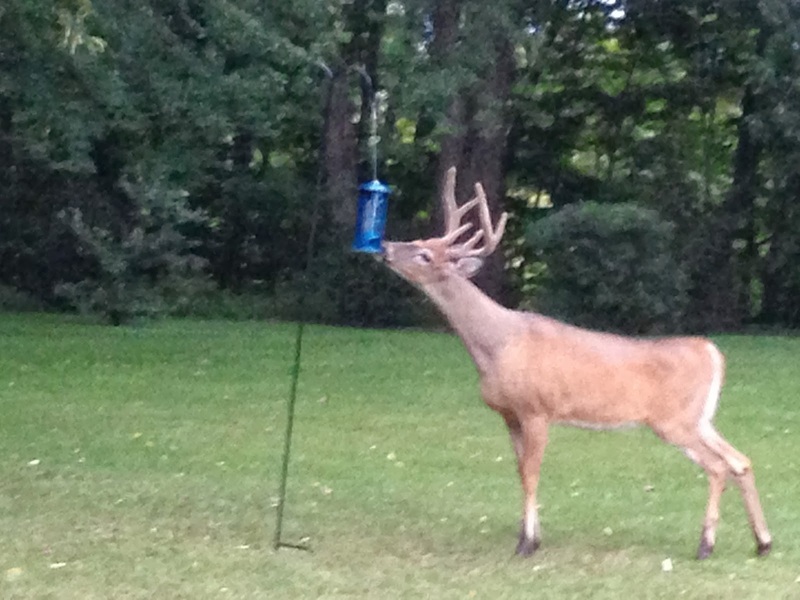 And the view out my window has changed a bit this fall – instead of looking at New York City skyscrapers, I am looking at the buck as he eats the birdies dinner! So, if you could snuggle up under a quilt – what would you be reading and what would have in your cup? 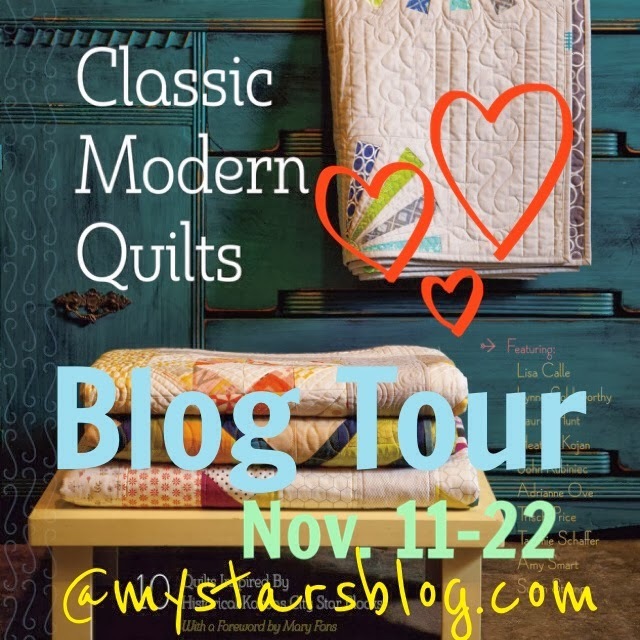 The Classic Modern Quilt Blog Hop has begun. 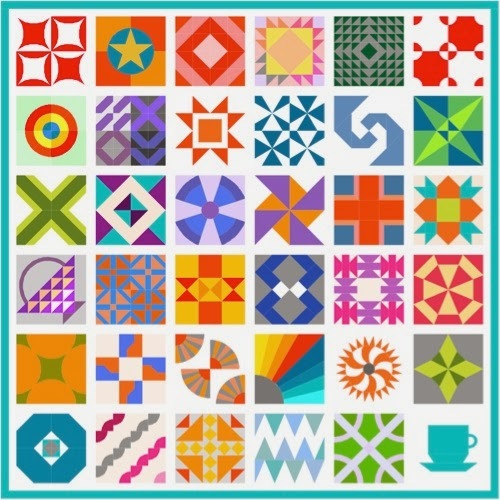 This is an opportunity to see how ten designers took ten different blocks and had some creative fun and in the process find some ideas for your own quilting inspiration! You might just be the lucky follower who wins a special prize!